“Earthbound Spirits” or “Ghosts” are a complicated subject. A “haunting” as defined by Webster’s; ‘reoccurring visits from a ghost or spirit’. In understanding earthbound spirits, it helps to understand that in some cases spirits who inhabit earthbound locations were basically “unstable people” who have left their physical body and are now in “spirit” form. In my experience, these spirits are never “evil”, but more than likely are confused and existing in a state of mental, emotional and/or spiritual imbalance, and may have also been the case, while they were here in their physical life. In my extensive experience as a professional Medium working with families who have lost loved ones by murder, suicide, domestic violence and accidental overdoses, I have encountered a lot of unbalanced and distraught spirits. Many of these “earthbound” spirits are existing in a state of fear and misunderstanding or have unfinished business with the living. They can be afraid to cross over in to the spirit realms for fear of judgment or that they will go to “hell” especially, if they have taken actions in their physical life that resulted in hurting others or even suicide, for example. Many of these spirits have left unfinished business with the living who they are often times desperate to communicate with and get through too. In their sometimes desperate attempts to connect with us, they be mistakenly perceived as malevolent but in my experience have no ill will or intention to scare us, but are merely trying to just get our attention or get a message through. Everyone has seen the movie “Ghost” where Patrick Swayze’s character chooses to stay on the earth plane to watch out for his wife and bring his killer to justice. Whether a spirit stays on the physical plane for awhile or crosses over immediately is their choice. Some may cross almost immediately while others may stay a day, week, month or even years and it is important to note their is no time in the spirit world only here on the physical plane. I find that the spirits who pass suddenly, accidentally or by suicide are more likely to stay here for awhile and take care of unfinished business then say grandma who passed at 93 and was really ready to go home. Let me be clear, that seeing a loved one around you does not necessarily mean that they are earthbound. A loved one, who has crossed over in to the spirit realm, can “visit” us at any time. The majority of spirits that I communicate with in a “Reading” have already crossed over in to the spirit realms. I would estimate a very small amount, of maybe 3%, are actually in an earthbound state. It is quite common that some spirits will choose to remain on the earth for a short period of time, before crossing over to the spirit realms. These spirits like to check in on their loved ones and say their good byes before going home to the spirit side. Some spirits will cross over immediately after leaving the physical body. There are also many places, widely known to be “haunted” which are frequented by rather friendly and harmless spirits, as well. When people typically speak of a “Haunting”, they are most commonly referring to what they believe to be malevolent spirits of a very low vibrational energy and spiritual awareness. These spirit experiences many times appear random in the fact that the spirits have no personal connection to the people that they are “haunting”. They may often times have an attachemtn to a place. These types of spirits may have a distinctly dark, negative or ominous “feeling” when they are around. **It is important to know that these types of spirit experiences are very rare and not as common as we or Hollywood would like to believe. Again, I must mention that these spirits are usually ‘mistaken’ to be dark or evil, but are really just existing in a very low level of spiritual awareness or are seriously unbalanced still in the energy of fear, anger or remorse. Many psychics who are not experienced in dealing with spirits on these lower energy levels, may often times also mistake them, for being bad or evil…which is simply not true. There is no evil in the spirit world, evil only exisits on the physical plane. In all of the Hauntings cases I have personally dealt with, they are never really random occurences. Upon investigation and discussion with the spirits, I always come to find some type of a connection between the spirits and the people/place they are attached too. With that being said, when an unbalanced or distraught spirit, or sometimes a group of spirits, chooses to stay earthbound, they may “attach” to a family, a person or a place; such as a house. When a spirit attaches to a person or a family for example; they may attempt to continue a “shell” of an earthly existence by drawing on the energy of the family in a particular house. Some spirits if particularly manipulative and controlling may take things even further and try to experience physical life again “through” a person and even influence a person. Consider the fact that, for example, when a murderer or a child molester dies physically, they are not necessarily locked away in “the gates of hell” so to speak. These are exactly the types of spirits that some times will hang around the earth plane and “haunt” people and places. They were predators, manipulative and controlling in physical life, and that does not necessarily change when they move on into spirit form. These types of spirits are attracted to and prey on the weak of heart and mind. These spirits are often attracted to people on the physical plane who may be struggling with mental illness or addiction; who have suffered abuse or trauma; people who are particularly “fearful” of them because of religious beliefs; and sometimes even children due to their openness, vulnerability and innocence. They may also be attracted to regular people who are of a lower spiritual awareness and vibrational energy that linger in or hold onto feelings and thoughts of a negative nature (and lower vibration) such as; anger, jealousy, revenge, greed, depression etc. The vast majority of cases of spirits inhabiting a place, like a “haunted house” are harmless. However, It is important to keep in mind that, whether a spirit that chooses to stay on the earth plane, is harmless or not, it is not a good idea for them to stay here for many reasons. It is ultimately better for them and in their best interest to cross over into the spirit realms. It is also not a good idea to have earthbound spirit energy hanging around a house or hanging around a particular person for a long period of time. They will eventually drain the energy of the people they are hanging around. It is also possible for them to affect the moods of the people they are hanging around by impressing feelings of fear, sadness and depression etc onto them. It is also important to know that, the majority of people who pass on to spirit form, will find their way over to the spirit realms just fine on their own whenever they choose to go and will have others in spirit come from time to time to check on them and encourage them to go home to the spirit side, but ultimately it is their choice to stay or go. However, occasionally a few will need some help. I have been very successful in helping unwilling or distraught spirits who are still here on the earth plane to cross over to the spirit plane. With help from my own spirit guides, helpers and loved ones on the spirit side of life, I am usually to determine why they are here, what they may want and am able to help them to move on to a better place. Some of these spirits are confused, sad, and some times angry or feel that they are not yet “ready” to move on for one reason or another. One of my favorite haunting cases was where I spirit stuck around for months, trying to get someone’s attention (and scareing them half to death in the process) who only wanted to say thank you for saving his son’s life before he left to go to the spirit side. It was a very happy and healing ending to a “Haunted House” and brought tears to the eyes of the person who was being haunted when I delivered the message the spirit had so desperately been trying to get through. So, you see ..things are not always as they appear. As a Medium, when I am dealing with an earthbound spirit, I will communicate with the spirit or spirits, find out who they are, why they are there, and find out what they need to move on and how to move on. I do this much in the same way as a counselor might work with a patient. I do not do this alone, and enlist the help of many spirits from the highest levels of the spirit realms to come through and help these sometimes confused souls move on to where they are supposed to go. Please feel free to email me, if you have questions or are unsure if you are dealing with an earthbound spirit or a haunting. *Please do not email to ask me “how to do this work or how to get rid of a spirit”. It is a very complicated subject and each case is totally unique. There is no simple answer. Just like a trained professional counselor would not attempt to tell you how to counsel an unstable person, neither can I nor would I tell you how to counsel a spirit. 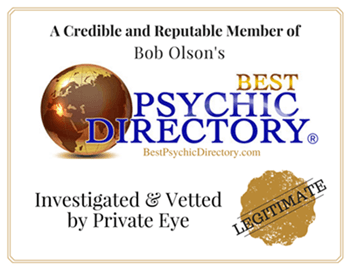 I am highly trained and extensively experienced in this work and dealing with spirits. I would not suggest that anyone should take this type of work on without really knowing what they are doing. The spirit realm has a whole list of natural laws that govern it that are very different than the way things work here in the physical plane. It is important to have a healthy respect for that fact, especially when working with unstable or disturbed spirits. How can I really know if my loved one is trying to communicating with me? In my home..I have a earthbound or haunting.!! My half sister..died here in 2005. My health has been in jeopardy. Hello. I am really experiencing all of what you had written about above, I would like to contact you, is this how I contact you? I just don’t wanna have everything I type be posted on the blog. Please let me know, thanks much. I’m a 16 year old female and I wanted to know if you could explain or give input to what I have been dealing with. I always get sleep paralysis usually after having a dream. I would do something or see something and then it would feel as if something would be attacking me and I would say the Lord’s prayer multiple times in order to wake up. Usually being calm and saying it slowly works faster. There was a time I was sleeping and I had a weird dream where this little boy was running around in circles in my room laughing, everything was black and white and it was as if I was kind of above him. It shifted to the view of a window with white curtains and I felt something try and grab me and push me out the window but I somehow got free and had to force my eyes open to wake up. Like it was grabbing my spirit if that makes sense. I usually get a really deep weird feeling when something tries to grab me. This is not the first time I’ve had something “attack” me in a dream, it happens often. Do you know what this is? Hi Jennifer, Please call my office to schedule an appointment. Thanks! My husband died of a overdose in the home, since I have moved but my family still lives there and has seen him around inside the house and also makes noises, drains batteries. I’m scared to go so I don’t get him attached to me and bring him to my current home. Can he leave that specific home he died in, or is he only able to stay in that specific home he died in, if he leaves will he then go to the light? I believe he is earthbound.